The Assembly Square neighborhood of Somerville. Yes, Boston made Amazon’s list of final 20 cities considered for its second headquarters. But that doesn’t mean a new Amazon campus would necessarily be in Boston proper. Amazon was referring to the metropolitan Boston area on its list, not just the city itself, a company spokesman said after it was released Thursday morning. In fact, proposals from both the city of Boston itself and from Somerville will move on to the next phase of the selection process, the spokesman said. Somerville’s proposal focused on using the T to knit together separate parcels over a roughly 2-mile stretch that straddles three cities. The project would begin at North Station in Boston and range out along either the Orange Line to Assembly Row or the Green Line extension to Union Square. It also emphasized Somerville’s close proximity to Harvard, MIT, and Tufts. Somerville Mayor Joseph Curtatone told the Globe on Thursday that he thinks the city’s regional approach is a winning strategy. Somerville will lean on the state to deliver incentives to woo Amazon. Curtatone said the city will not offer property tax breaks like Boston has in getting companies to relocate. “We’re not in a position to offer incentives,” said Curtatone. 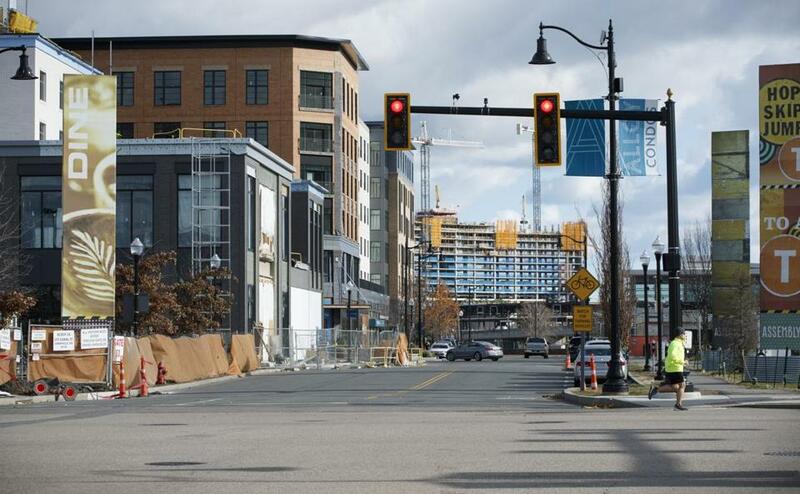 George Proakis, Somerville’s director of planning, told the AP on Thursday that his city’s proposal was focused less on creating a single campus for Amazon, but instead emphasizing ‘‘smart growth’’ development. ‘‘We wanted them to consider Somerville based on who we are and what we are, our diversity and our knowledge-based workforce,’’ Proakis said. Boston, by contrast, focused its bid on one big site — Suffolk Downs, the race track on the city’s border with Revere. But that doesn’t mean a Boston Amazon headquarters would have to go to Suffolk Downs. Amazon is expected to employ its own team of site selection experts, who will study the cities for other possibilities, such as Widett Circle, the Beacon Rail Yards in Allston, and tracts of remaining land in the Seaport — where the company is already looking for up to 1 million square feet of office space for ongoing expansion here. Shirley Leung, Jon Chesto, and Tim Logan of the Globe staff contributed to this report. Material from the Associated Press was used in this report.